S 1/c Samuel Eugene Jones, son of Mr. and Mrs. S. H. Jones, Loving, husband of MaDell Brigham, Graham. 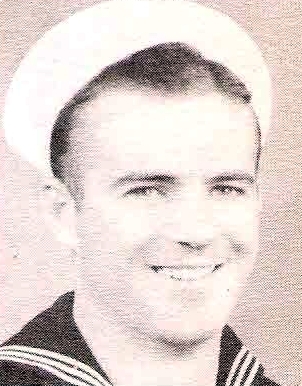 Entered Navy in 1942, trained in San Diego, Cal. Served on USS S. Dakota, Battle of Santa Cruz, Battle of Savo Island. Awarded Amer. Theater Ribbon, APO with 2 Stars, Purple Heart, Victory Medal and GC Medal. Wounded in Savo Island in 1942. Discharged in 1946.